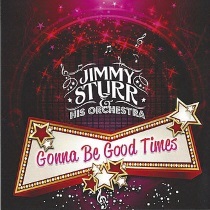 18 time Grammy® Award Winner Jimmy Sturr and His Orchestra recorded Live-In-Person! At the ripe old age of thirteen, International Polka Music Hall of Fame® Jimmy Sturr was off and playing. The first bookings were those classical traditional, all-out, three-day Polish weddings. That kind of experience comes to few bandleaders. A full music scholarship gave Jimmy the chance to attend the Valley Forge Military Academy. After that came the University of Scranton. During that time, the band continued without Jimmy. For the first nine years the Sturr band played strictly in the polka field. The Sturr Band was awarded a commendation of excellence from Broadcast Music Inc. (BMI). This BMI award was the first ever awarded in the polka field. The Anheuser-Busch Corp. chose Jimmy and the band to do the music track for a Budweiser commercial. His band is the only polka band to appear at Carnegie Hall in New York City. They have appeared five times and sold it out all five times. His band is the only polka band to appear at the famed Opryland in Nashville, Tennessee. Their travels have brought them twice to the MGM Grand Hotel in Las Vegas. While off the road, Jimmy was President and sole owner of WTBQ Radio in Warwick, New York. He is also President of National Polka Artists, Inc., and the Starr Record Company, on which many other artists have recorded. Jimmy also owns his own travel agency called Jimmy Sturr Travel. In the years prior to his induction in the Polka Music Hall of Fame, his band took many polka music awards with Most Favorite Album, Single, and Instrumental Group. His name was submitted as a candidate for the Polka Music Hall of Fame and he was immediately selected by the electors.